This individual CD is out of print. A remastered version was released in 2007 as part of the Looking Backward box set. You can download the complete remastered album at both ReverbNation and iTunes. Rocket Scientists is an astounding blend of past, present and future, drawing on influences both new and old. Led by producer / keyboardist Erik Norlander and vocalist / guitarist Mark McCrite, the band paints broad sonic landscapes with their unique brand of progressive rock on their new Kinesis release Brutal Architecture. Rocket Scientists' 1993 debut album Earthbound captured international acclaim from fans of both progressive and pop music. The follow up release, Brutal Architecture, takes the band into more experimental waters with long, instrumental pieces with stylized solos contrasted by Beatlesque vocals and sharp studio production. Erik Norlander was born in Hollywood, California during the late 60s. Music was an essential part of his growing up, with bands like ELP, ELO and Yes instilling in him a fascination with synthesizers and electronic devices. Norlander's love of science fiction and literature blended well with his musical aspirations, defining very early on a vision for the fantastic and arcane. Favorite writers Heinlein, Moorcock and Asimov have affected his lyrical style and choice of subject matter from the beginning. Deeply moved by production, Norlander is quick to point to Alan Parsons and Jeff Lynne as major influences on his studio craft. In addition to previously mentioned artists, Norlander lists his favorite bands as Jethro Tull, Rush, UK, Supertramp, Procol Harum and King Crimson. Norlander has produced scores of tracks for film and television, and has worked with many recording artists on various labels including metal guitar icon Joshua and progressive keyboard virtuoso Keith Emerson. He also directed sound development of several products for Alesis Studio Electronics, including the QuadraSynth Plus, QS8 series and Andromeda synthesizers. Mark McCrite was raised in Atlanta, Georgia where he was heavily exposed to 70's Southern Rock during his formative years, which naturally caused him to gravitate toward the guitar. His passion for music led him to choose his instrument while still in grade school. The Allman Brothers solo ethic of "melodic yet extended and dynamic" has always been a goal of McCrite's, not only in his guitar playing, but in his songwriting as well. In addition to his Southern Rock roots, McCrite has always been a tremendous Beatles fan. The spirit that inspired Sgt. Pepper's is what turned him on to progressive rock. To quote McCrite: "It is my goal for Rocket Scientists to take well written, timeless, melodic songs and present them in an ambitious, challenging context. Sound familiar?" In the past year or so, McCrite has found inspiration in recent works by Porcupine Tree, King Crimson, Crowded House, Kevin Gilbert and Fish. Outside of Rocket Scientists, McCrite continues to produce a vast array of music scores and also acts as an independent music consultant for the video industry. McCrite is also in the midst of producing an album for the LA rock band River, for whom he writes and plays guitar. Tommy Amato is a native of Cleveland, Ohio, where he began playing in club bands at age 15, covering as many as 50 songs each night. After his gigs, Amato would hang out at the local recording studio until dawn, where he soon became a session commodity. In 1980, childhood pal Neil Geraldo convinced Amato to come to Los Angeles. By 1984, Amato was a permanent resident playing with countless artists from Savoy Brown to Warrant. In spite of Amato's advanced polyrhythmic pyrotechnic skill, he attributes his unique, energetic drumming style to a heavy left hand and a fat groove. As a teenager carving his way in Cleveland's club scene, a manager once told him to "lead the band" -- advice which he continues to follow. His favorite drummers include Bill Bruford, Billy Cobham, John Bonham and Tony Williams, who ultimately inspired Amato to play the classic yellow Gretsch kit that he still uses on frequent occasion. Don Schiff grew up in Wilmington, Delaware and is the only member of the band that has played with Elvis. Three weeks after graduating high school, Don moved to Las Vegas where he soon became the house bass player at the Flamingo Hilton where he played with Ike and Tina Turner, Perry Como and many others. In the 70's, Schiff heard about the electric stick and drove his wife and dog to Los Angeles to meet Emmett Chapman. (See the Stick instruction book "Free Hands" to see Don and Pete the dog.) Schiff would like it known that he played the Stick for Raquel Welch, and would like to say hello if she's reading. Since his Vegas days, Schiff has written for many artists (including Pat Benatar, who got him his first gold record) and scored several films. His score for "Live from Death Row" featured liberal application of the Stick, which became the sound of that film. Schiff has recently played on albums by Eddie Money on Sony, Kerri Anderson on Impact/MCA, and Lance Matthew on Virgin/EMI. In 1994, Rocket Scientists backed vocalist Lana Lane on her debut album, Love is an Illusion, which is now being widely distributed and gathering international acclaim. Rocket Scientists has elements of both 70's and 90's King Crimson, with strong keyboards reminiscent of ELP and Yes. The production style crosses Pink Floyd with The Alan Parsons Project, and McCrite's vocals mix Paul McCartney with Justin Hayward of The Moody Blues. The resulting blend is an original sound aimed headlong toward the Millennium. 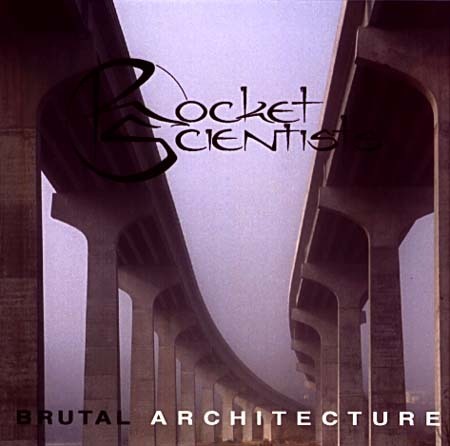 Brutal Architecture was originally released in 1995 on the Kinesis label in the USA and in early 1996 on the Marquee Belle Antique label in Japan. Both versions are now out of print. The Belle Antique (Japanese) version contained the bonus track, "Stardust", with guest vocals by Lana Lane. (30 December 2007) A remastered version of Brutal Architecture has been released as part of the Looking Backward multimedia box set in December 2007. You can download the remastered version of Brutal Architecture on ReverbNation and iTunes complete with the "Stardust" bonus track.